Wed 21st Nov Llysfaen Working Rally. £9. 4 in each group. Please text Aloma to check availability (07802 342561). Payment must be sent with booking form. 6-8 pm Equiti. Wed 28th Nov Llysfaen Working Rally. £9. 4 in each group. Please text Aloma to check availability (07802 342561). Payment must be sent with booking form. 6-8 pm Equiti. 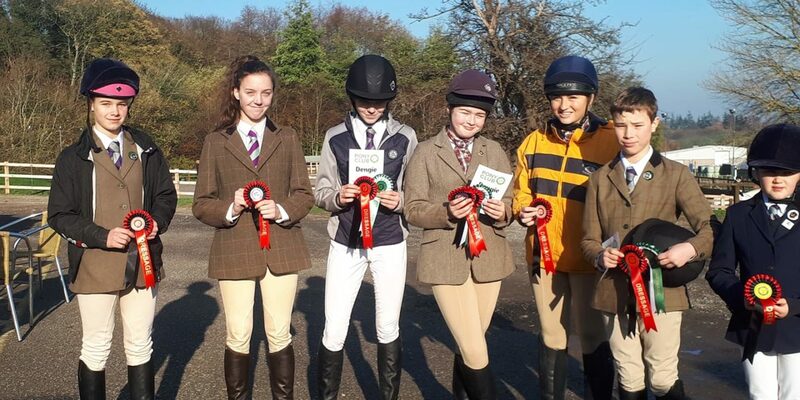 Photo: Thank you to all the Flint & Denbigh members who supported the Dengie Winter League Dressage competition at Coleg Cambria last Sunday. Also a big thank you to everyone who helped on the day. Congratulations & Well Done to the members who qualified through to the Novice Area Competition: Faye Jones, Twm Cernyw & Elsa Braunton. At Kelsall Hill Equestrian Centre on Sunday 27th January 2019. 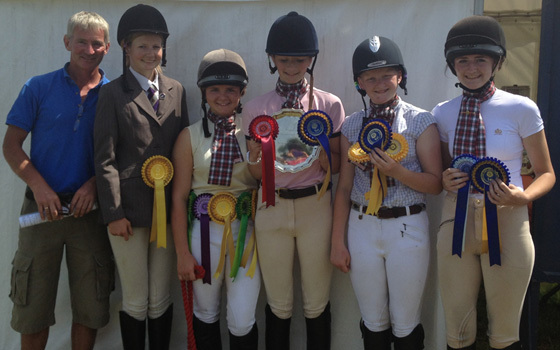 Pony Club (PC) Arena Eventing is a two-phase competition run at PC70, PC80, PC 90, PC100 & PC110 level. 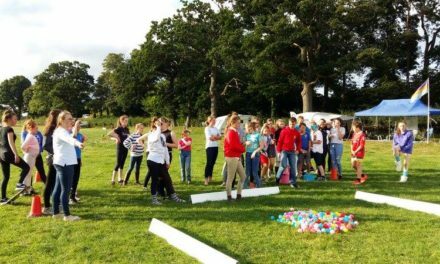 Competitors will jump a course of show jumps immediately followed by cross-country fences* and will finish with a last fence as a show jump, the Joker fence. The Joker fence will be approximately 5cm (PC70) or 10cm (PC80,90,100 & 110) higher than the rest of the course and if knocked down will incur 6 penalties. At PC70 the Joker fence may be omitted incurring additional penalties. The show jumping phase will not be timed but the cross-country phase will be timed to include the Joker fence. All competitors will proceed to the cross-country phase unless previously eliminated. The winner of each class will be the rider with the least number of faults over the whole course. In the event of a tie, the rider(s) with fastest time over phase two will take precedence. Further information, including rules and entry details, will follow shortly and will be published on the EC and Area 5 websites. *Please note the XC fences will be SOLID but NOT FIXED to the surface. Believe it or not, your motivation and confidence are interlinked and are not something that you either have or don’t have. And because your motivation and confidence are shaped by you and your environment, you can’t just think yourself more motivated or more confident. Your perceptions of the support you get from those around you, particularly people who are important to you like parents, partners, teachers and coaches, have a huge impact on your motivation and confidence. Supporting success is vital for building confidence. Understanding this can help you to take control and create a supportive environment for yourself, and in doing so, boost your self-motivation and self-confidence!